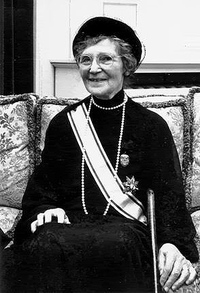 The Scandinavian term “Änkedrottning” [Queen Widow] was normally used in those countries, but the tradition ended with Queen Ingrid of Denmark, who chose to remain “Queen” after the death of her husband, King Frederik IX. And as for dowager kings or consorts, there have not been too many. One is however portrayed in the family album in this issue; King Consort Ferdinand of Portugal.